TrueEasy was established in the year 2004, TrueEasy is proud to be an authorized dealer of True Easy fully automated Polyethylene Terephthalate (PET) stretch blowing machines. We constantly devote ourselves in technical fields in order to build up a good reputation & famous brand. Our motto, “Highly Efficient and Power-saving, not compromising on innovative”. With our years of experience, professional technical skills and constant R&D, we are proud to present the CY-series Fully Automatic PET Stretch Blowing Machine. CY-series is known for its high efficiency and at the same time power saving. We believe that “Suitability is always the best”. With many years of precious experience, all the hardware and software are chosen carefully in order to obtain the best production results. CY-series comes with well-known brands for the main machine parts so as to allow the blowing machine to achieve the greatest stability and compatibility. With its outstanding compatibility, CY-series are able to produce a wide range of products. 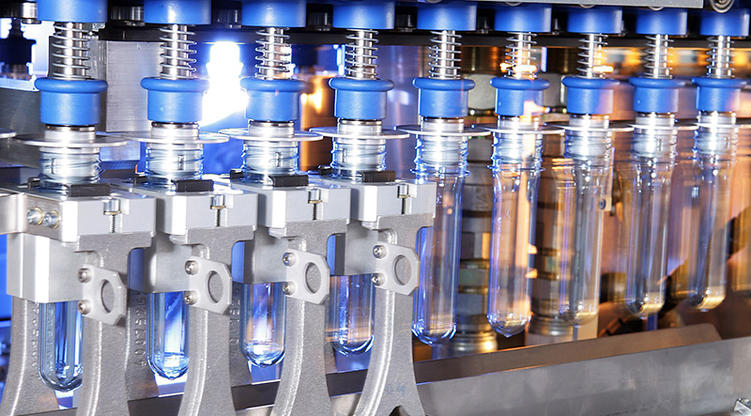 From 10ml to 5 liters PET bottles and containers, satisfying mineral water, soft drinks, juices, cooking oil cosmetics and even medical markets. With the support of our customers and business partners through the years, CY-series is now sold worldwide and is highly recommended by users.With deep insights to the PET blowing market, True Easy understand your needs and able to provide you with a wide range of tools and equipments that answer to your needs in this industry. True Easy is the authorized dealer from True Easy Fully Automated Stretch Blowing Machine to Screw Air Compressor all the way to precision measuring devices and mould polishing equipments. Providing you with high quality machinery and products, achieving unmatchable customer care services would be our greatest motivation thus far. CY-series uses servo motor for mould closing, stretch blowing and all the movements. Achieving high precision and at the same time high speed, Stability and power savings. CY-series comes with recycling high pressure air system, reducing the use of low pressure air thus, saving of costs. Guide pins at mould mounting plate, enabling easy and fast mould changing which result in lesser down time. Hand manual control and machine manual control of movement, enabling repair or maintenance to be easier. Precision location sensor switches to avoid the machine to keep running when a certain part is not in position. High pressure clamping to ensure the end product to have a nice finishing and reduce the wear and tear cause to the mould clamping unit when blowing. Fully automatic blowing machine after user load the perform in the loader until the end product produced. Energy savings due to constant heating which also resulting is fewer amounts of rejects. Big and wide mould clamping units to ensure and powerful clamp with blowing bottles. Machine parts can be easily purchase due to the high compatibility CY-series provides.